John Fox grew up in Clinton and graduated high school at the age of 14. Following high school, he enrolled at Mississippi College where he earned his undergraduate degree at the age of 17. From there he moved to Oxford to go to law school and earned his LL.B. in 1920 from the University of Mississippi. Following law school, he went to New Haven, Connecticut to further his studies at Yale University. He then returned to Jackson where he practiced law. While in Jackson, Fox played a major role in starting a night school for professionals who wanted to study law. The Jackson School of Law began operating in 1930 and became Mississippi College School of Law in 1975. In 1932 Fox made his way back to Oxford to teach at the Ole Miss law school at the age of 30. In 1937 he returned to Yale University on a Sterling Fellowship. He then returned to Oxford to pick back up with his career in legal education, only interrupted by his service in the Navy during World War II. By all accounts, John Fox was a distinguished professor with an intense loyalty to Ole Miss in every aspect. His reputation was quickly established in Mississippi, gradually becoming known across the South and the Association of American Law Schools as someone who would stand up for the profession as both a lawyer and teacher. A member of Omicron Delta Kappa, Fox enjoyed hunting and fishing in his spare time. He was also an avid fan of Ole Miss Athletics. Fox died in 1965, and his friends established the John H. Fox, Jr. Memorial Scholarship for upper-class law students as a tribute to him. Fox and his wife, Marjorie Gibbons, had three sons and a daughter. Born in Gulfport, Mary Libby Bickerstaff Payne has long been entrenched in Mississippi’s legal society. In 1950 she enrolled at Mississippi University for Women to study ballet. She later transferred to the University of Mississippi where she obtained a Bachelor of Arts degree in 1954, studying political science and speech. The following year she was one of only four women enrolled at Ole Miss’ law school. In 1955 she received her law degree, graduating at the top of her class. During her time at Ole Miss she was a member of the Baptist Student Union and the Christian Legal Society. She was Case Notes Editor for the Mississippi Law Journal and chair of the Moot Court Board. Upon graduation, Payne had stints of employment at her father’s law firm, at a title insurance company and at a public law firm before opening her own practice. Her public service career began in 1965 when Speaker of the Mississippi House of Representatives Walter Sillers hired her to be a House legislative draftsman. Five years later she became the House Drafting Office’s first Chief of Drafting and Research. After the creation of the Mississippi Judiciary Commission, Payne found herself Executive Director of that organization. She also served as an assistant state attorney general before she made her great commitment to legal education. In 1975, Mississippi College School of Law named Payne its founding dean. With her leading the way, the school transitioned from a proprietary night school to a dual division academic program and gained accreditation from the American Bar Association. Payne fully supported and embraced the college’s Christian environment and was instrumental in the establishment of the school’s Christian Legal Society. She later stepped down as dean but stayed on to foster legal education as a professor of law until 1994. In 1994 the Mississippi Court of Appeals was created, and Payne was elected one of its original judges and was the only woman to serve in this capacity until she retired in 2001. Recognitions for her accomplishments are many. 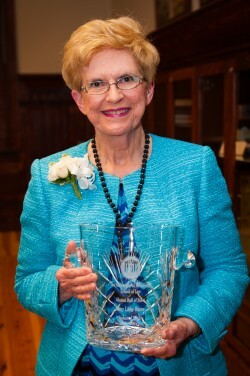 Some of them include the MUW Alumnae Achievement Award, Life Membership in the Fellows of the American Bar Foundation, the 1989 Woman of the Year by the Mississippi Association for Women in Higher Education, the MUW Medallion of Excellence, the Power of One award by the Mississippi Governor’s Conference, the 1998 Mississippi College School of Law Alumni Association Lawyer of the Year, the 1999 Mississippi Women Lawyers Association Distinguished Woman Lawyer of the Year, the Christian Legal Society’s Skeeter Ellis Service to Law Students Award, the Susie Blue Buchanan Award, the national Christian Legal Society’s Lifetime Achievement Award, Mississippi State University’s Pre-Law Society Distinguished Jurist Award, Lifetime Achievement Award by The Mississippi Bar, the Lifetime Achievement Award by the Mississippi Women Lawyers Association, the Mississippi Governor’s Medal of Service, and the Mississippi Bar’s Women in the Profession Trailblazer Award. Payne and her husband Bob reside in Pearl where they are active at McLaurin Heights Baptist Church. They have two sons, Reece Allen and Glenn Russell. Parham Williams has enjoyed a lengthy career as a legal educator. He earned a bachelor’s degree in 1953 and a LL.B. in 1954, both from the University of Mississippi. He later received the Sterling Fellowship that allowed him to obtain his LL.M. degree from Yale University in 1965. During his undergraduate years, he was a member of Delta Kappa Epsilon fraternity, the Omicron Delta Kappa leadership honor society and the Air Force ROTC program. He was also a member of the Classics fraternity Eta Sigma Phi and rose to become the organization’s national president, giving his inauguration speech in Latin. In law school he was a member of Phi Delta Phi and Phi Alpha Delta. Following graduation, Williams served his country as a JAG officer for the U. S. Air Force. In 1956 he returned to his hometown of Lexington to practice law. In 1957 he was elected District Attorney and served two terms. In 1963 he was recruited by Prof. John Fox and Dean Robert Farley to return to Oxford as a member of the law school faculty. For the next eight years, Williams served the law school as an associate professor, assistant dean, full professor, and associate dean. In 1971 he was named 16th dean of the University of Mississippi School of Law. One of Williams’ many accomplishments as dean of the Ole Miss law school was overseeing the creation of the Lamar Order, a donor society that provides programming and scholarship support. He played a vital role in securing appropriations needed for the construction of a new law school facility, now known as Lamar Hall. Due to his efforts, the school also endowed the Jamie L. Whitten Chair in Law and Government as well as the James O. Eastland scholarships. After serving 14 years as dean, Williams made the decision to retire. In 1985 he was hired to become vice president and dean of the Cumberland School of Law at Samford University in Birmingham, a position he held for 11 years. 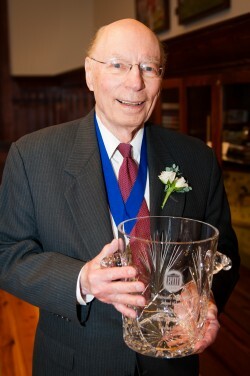 At Cumberland he helped raise more than $10 million toward a law library and more than $3 million toward scholarships and academic enrichment programs. He returned to Oxford in 1996 to serve as Jamie Whitten Chair of Law and Government and visiting professor of law. In 1997 he moved to California to become vice president, founding dean and Donald P. Kennedy chair in law at Chapman University School of Law, where he served for 10 years. During his tenure at Chapman, he guided the school through its ABA accreditation process and raised tens of millions of dollars toward a permanent law school building, scholarships and professorships. In 2007 he retired and moved back to Oxford and took on the role of adjunct professor at Ole Miss’ law school. In 2012 the call came from the Duncan School of Law at Lincoln Memorial University in Knoxville, Tenn. to become interim vice president and dean. He spent the next two years leading the school through its ABA accreditation process and recently received provisional approval. Williams and his wife, Polly, reside in Oxford. Their four children and grandchildren are an integral part of their lives. Knox White graduated from Gulfport High School in 1941. He earned a bachelor of arts degree in 1947 and a LL.B. in 1948, both from the University of Mississippi. He also pursued advanced legal studies at Columbia University in New York City. White had a distinguished military record in World War II, having been awarded decorations for action with the 7th Armored Division in Germany at the Battle of the Bulge in 1944. His role was recounted in the book, Undiscovered Heroes of World War II. He later served as an officer in the Judge Advocate General Corps, U.S. Army Reserve. White began his law practice with White & White, a prestigious Mississippi law firm founded in the nineteenth century by his great uncle, Judge Walter H. White of Biloxi. He was recognized for his knowledge and expertise in banking and real estate law. 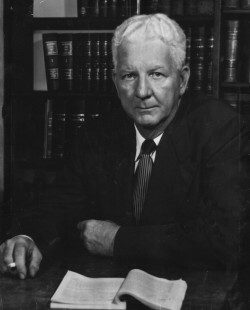 He was of counsel to the Gulfport law firm Allen, Cobb, Hood and Atkinson, PA. White also served as legal counsel to both Hancock Bank and Peoples Bank. Widely traveled, he was an avid reader and a recognized authority on European history. White was a member of Westminster Presbyterian Church, Gulfport Yacht Club and a charter member of the Great Southern Club. He served as past president of numerous organizations including the Great Southern Country Club, Mississippi Defense Lawyers Association, Harrison County Bar Association, Century Club and Gridiron Club. He was a member of the Mississippi Bar, the Boston Club in New Orleans, the Young Men’s Business Club, Sunkist Country Club and active participant in various legal associations and societies. Though White died in 2008, the Mississippi Gulf Coast has been enriched by the lives of he and his widow, Patti, and their five children. Scotty Welch serves as senior counsel at Baker, Donelson, Bearman, Caldwell & Berkowitz, PC in their Jackson office. He earned a bachelor’s degree in 1961 from the University of the South, also known as Sewanee. In 1964 he earned his LL.B. from the University of Mississippi School of Law. As a law student, he was a member of the Moot Court Board and Phi Delta Phi. He also served as President of the Law School Student Body. Welch holds Fellowships in The Mississippi Bar Foundation, American College of Trial Lawyers, and Litigation Counsel of America. He is a Senior Life Fellow of the Foundation of ABOTA and a Sustaining Life Fellow of the American Bar Foundation. Industry publications have also taken notice of his outstanding work as an attorney. Both Who’s Who in American Law and Chambers USA: America’s Leading Business Lawyers have listed him since their First Editions. He has annually been listed among the top 50 attorneys in Mississippi by Mid-South Super Lawyers and has been named a Lawdragon 500 Leading Lawyer since 2006. Best Lawyers in America has listed him in Personal Injury Litigation since 1995, in Commercial Litigation since 2007, in Product Liability Litigation since 2008 and in Transportation Litigation since 2011. In 2010 the Mississippi Business Journal listed him as a “Leader in Law,” and in 2011 Best Lawyers listed him as Jackson, Mississippi’s Personal Injury Litigator of the Year. Welch has served the legal profession as President of the Mississippi Bar. He is a past president of the American Board of Trial Advocates (ABOTA). He served as a member and as Mississippi’s State Delegate to the American Bar Association House of Delegates and as a member of the ABA Board of Governors. Welch is Mississippi Chair of The Fellows of the American Bar Foundation. 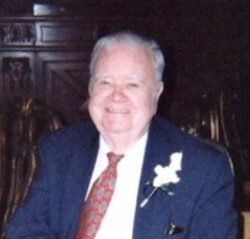 For his service to the profession, Welch has received numerous recognitions. He has been the recipient of the Mississippi Bar’s Distinguished Service Award. 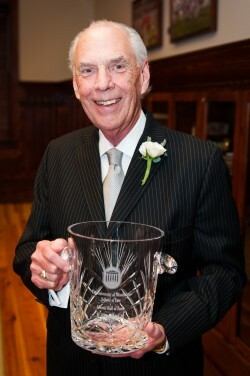 In 2012 the University of Mississippi School of Law named him its Law Alumnus of the Year. He has been presented the Mississippi Bar’s Lifetime Achievement Award as well as the Mississippi Defense Lawyers Association Lifetime Achievement Award. Scotty and his wife, Mary Anne, reside in Jackson.